One of the things that’s so appealing about travel is the ability to experience something new. New cultures. New architecture. New foods. But who’s to say that we can’t do that right in our own backyard? And last weekend, that’s exactly what I did — via a one-way ticket to Chicago’s Chinatown courtesy of Chicago Food Planet Tours. Chicago Food Planet is a first-of-its-kind tour company that brings culinary and cultural experiences together to highlight some of Chicago’s popular neighborhoods — Near North Food Tour, Bucktown/Wicker Park Food Tour and Chinatown Food Tour. I chose the Chinatown tour because, even though I’d already been there several times, there was still so much more to learn and explore. Oh, and eat. So on Sunday morning, I took the red line down to Chinatown. 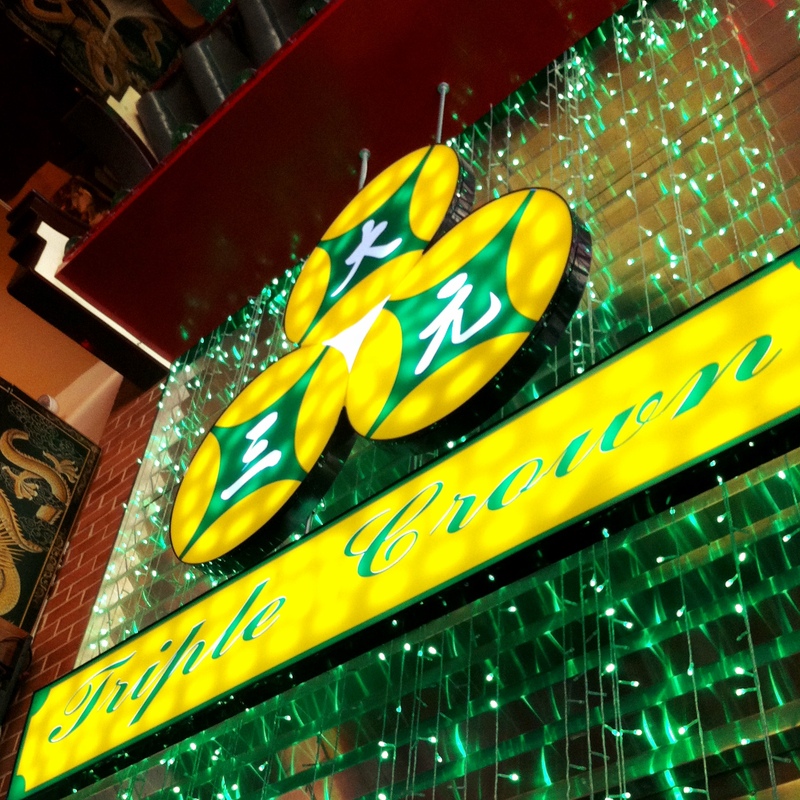 First stop — Triple Crown — a Hong Kong-style dim sum restaurant. First mistake — not wearing pants with an elastic waistband (we’ll get into more detail on that later). It was at Triple Crown that I met our guide, Lisa, and my eleven other partners in culinary crime. After a quick introduction to the tour itself and an informative overview about the regions of China and the cuisines we’d be tasting, we were off. Time to eat. 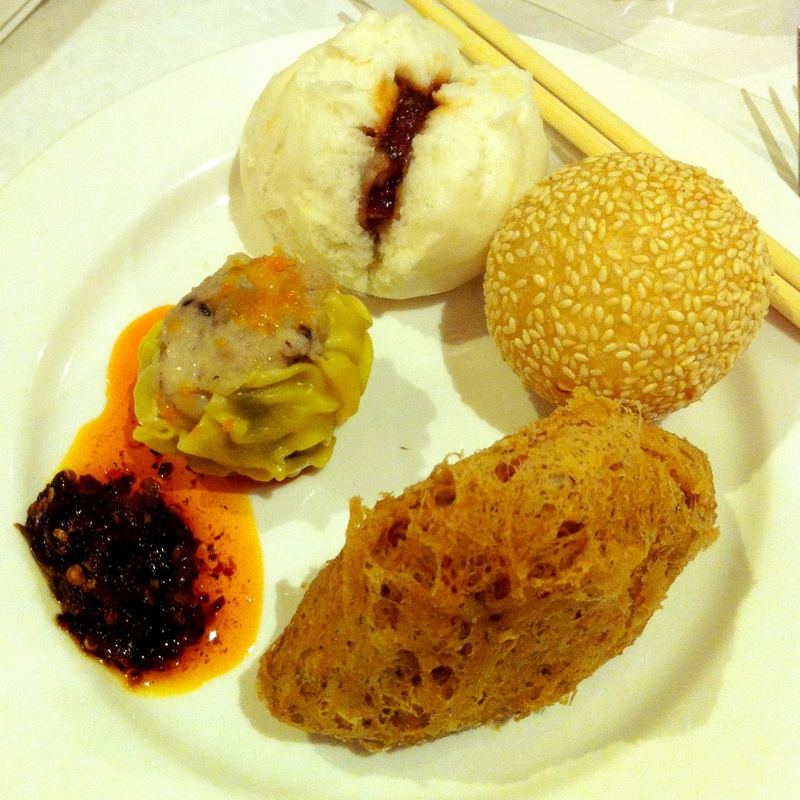 As I mentioned earlier, Triple Crown serves dim sum. 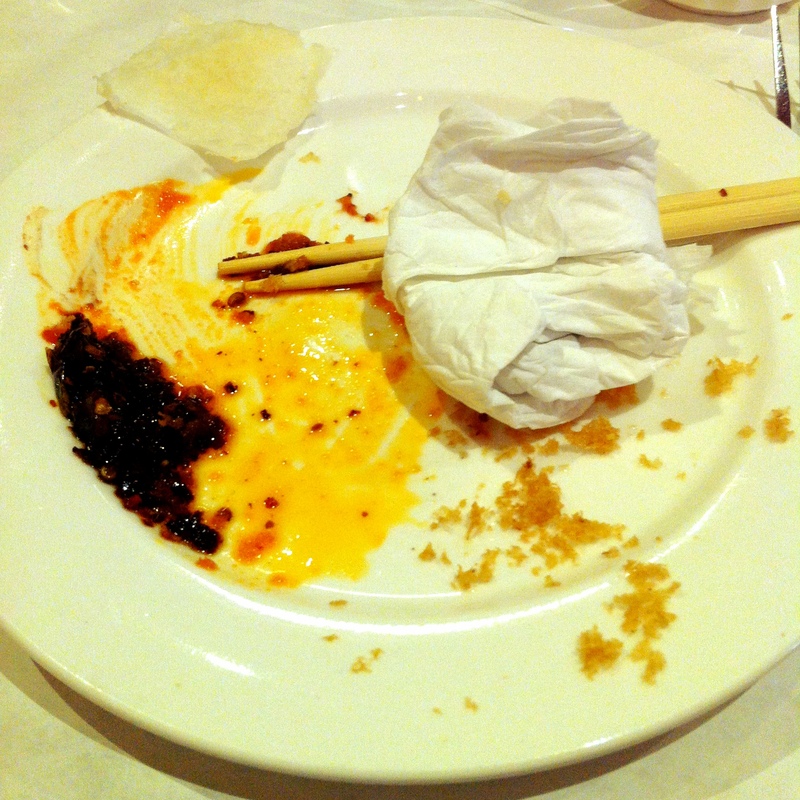 What I didn’t mention is that this was my first time eating dim sum. I know. I KNOW. Clearly I’ve been doing it wrong. Before our food arrived, we passed two kettles of tea around the table while Lisa explained how the ritual of tea and dim sum came to be. Apparently, it all started way back in the day when silk traders were making their trek across China. They’d stop in tea house along the way, and eventually dim sum — which means “eat to the heart’s content” — became part of the tea service as a way to refuel the silk traders before they started on the next part of their journey. Who knew? Along with our tea (which was light green with jasmine, by the way), we enjoyed four types of dim sum — steamed BBQ pork buns, fried sesame balls with black bean paste pork, deep fried taro puffs (my favorite), and shrimp siu mai. I think it’s safe to say that I enjoyed it. After our meal, we received a copy of the Triple Crown menu and I instantly began planning what I’d order on my next visit. Oh, and they’re also open until 2am every day — love that. With my belly already starting to feel full, we ventured off to our next stop — Ten Ren Tea & Ginseng Co, a company based in Taiwan. 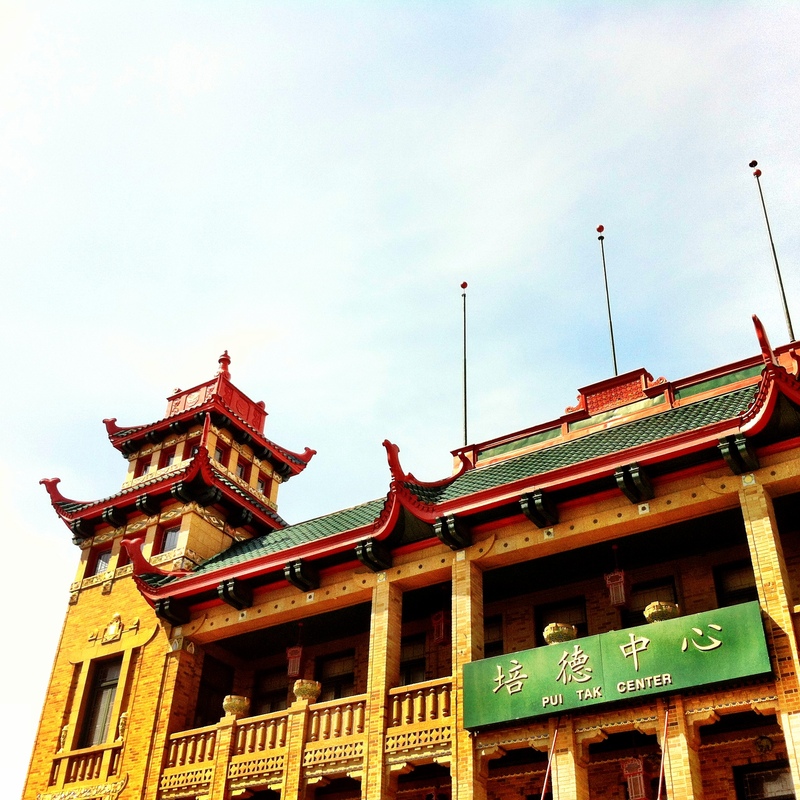 Along the way, Lisa stopped to point out some of Chinatown’s most famous architecture and its history. We even stopped in a Buddhist temple mid-service — talk about authentic. 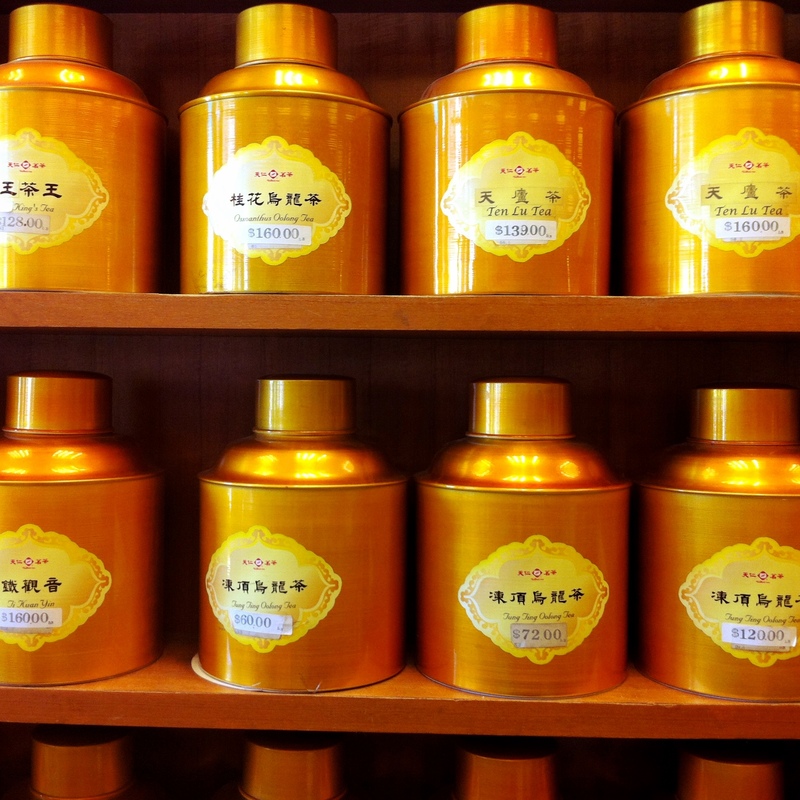 Once we arrived at Ten Ren Tea, we each had a mug of hot mango black tea waiting for us. Lisa explained that there are only four types of tea — White, Green, Black and Oolong — each varying in levels of leaf oxidation. Anything else is a tea imposter. I’m more of coffee girl myself, but I couldn’t help but be impressed by the vast variety of unique teas at Ten Ren Tea, including one that had been aged for over 30 years. After browsing a bit, we headed over to Chinatown Square, which is the “newer” part of Chicago’s Chinatown. 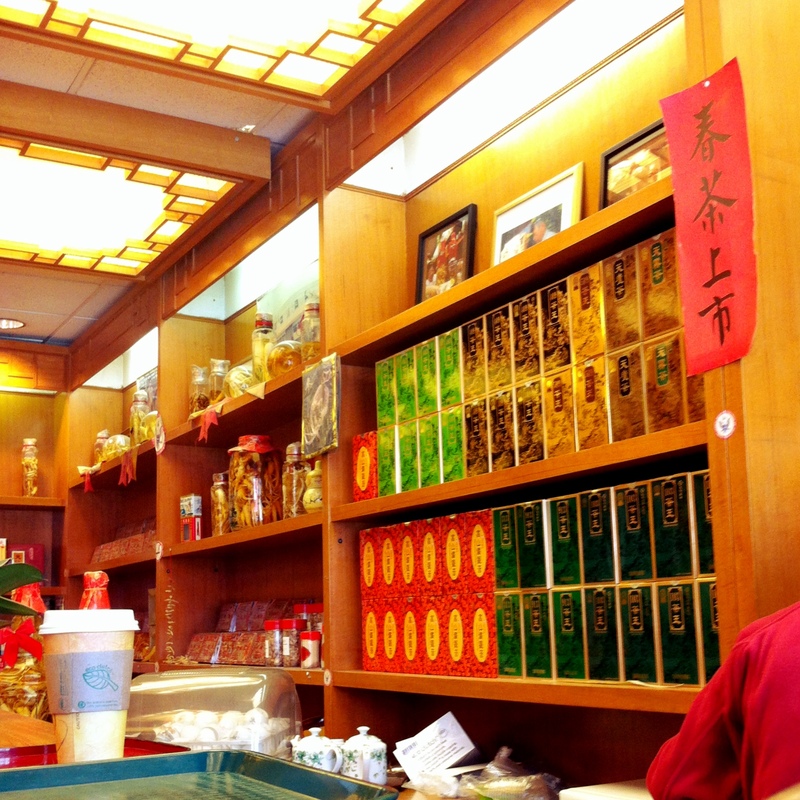 Along the way, we stopped by Chiu Quon Bakery for a lesson in mooncakes. I won’t give away the whole story, but basically it comes down to this — cake is powerful enough to overthrow evil dictators. As if you needed more of a reason to love it. After cutting through the Square, we ventured over to one of my favorite places in Chinatown — Tony Hu’s seriously spicy Lao Sze Chuan. Although I’d already been there a handful of times, I didn’t have any objections to going again. 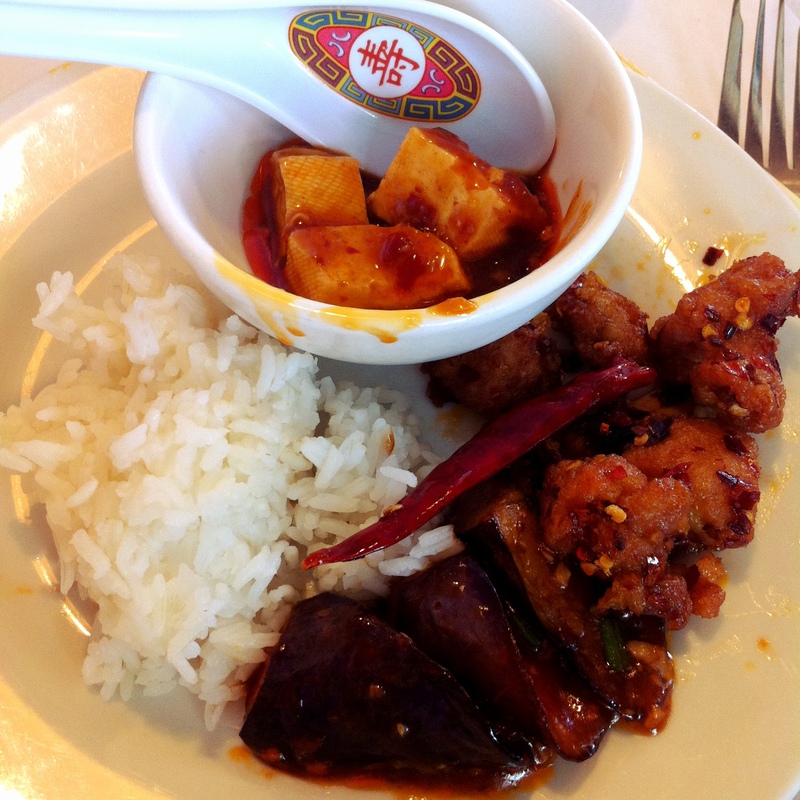 Lisa ordered a number of dishes for the table — Chinese eggplant, mapo tofu, dried chili chicken and white rice (for the faint of heart). Before digging in, she reminded us that, in case of Szechuan peppercorn emergency, we should resort to the rice — not water — to aid our tingling tongues. Point noted. Spiciness aside, this is the point in the tour where I started to wonder whether or not I could eat any more food. My pants were not those of the elastic waistband type, and I was regretting my choice of wardrobe. But, for the food’s sake, I pushed forward. The things we do for love. Luckily, we gave ourselves a bit of a break by walking through Ping Tom Memorial Park before treking to our next spot — Lao Beijing, another Tony Hu restaurant. And in a rather exciting turn of events, our group was actually seated by Tony himself. Talk about VIP. At Lao Beijing, we dined on a traditional peking duck dinner complete with all the fixin’s. Unfortunately, I don’t have a picture — I ate it before I had the chance. But trust me when I say that it was good. Great, actually. If you’ve never had peking duck before, add it to your list. Like, now. While we ate, Lisa explained that the first restaurant specializing in peking duck goes back to the early 1400s. Prior to that, a version of peking duck was a dish that was traditionally prepared for the Emperor of China. Take that, fried chicken. Lastly, as if we needed dessert, we stopped at Saint Anna — a bakery and pastry shop. When we arrived, there was a line out the door, which is always a good sign. 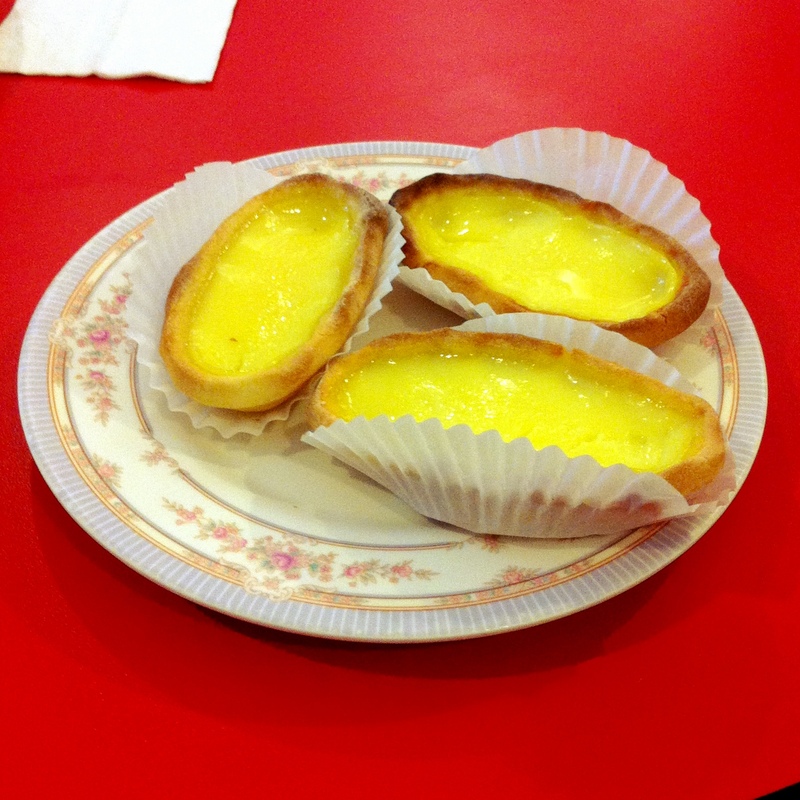 Once inside, we each received an egg custard tart — a buttery shell filled with sweet, creamy filling. And although I was stuffed beyond belief, my eyes couldn’t help but wander over to the glass case filled with delicious and beautiful pastries like green tea cakes, mochi, and almond cookies. But, I resisted…until next time. Aside from feeling full, I ended my tour feeling excited about the fact that I’d been introduced to a new side of Chinatown that I hadn’t experienced before. Although I was barely two miles from my home in the West Loop, I enjoyed being able to feel like a tourist in my own city for a few hours. I thanked Lisa for being such an awesome guide, and we chatted about the places I should check out on my next visit — which I’ll certainly be making soon. Once I arrived home, I put on a pair of workout pants (with an elastic waistband, of course), opened the windows to let in the cool spring breeze, and took a full-bellied nap on the couch. Best. Sunday. Ever. Thanks, Chicago Food Planet Tour. What a fun way to spend an afternoon in your own city! Going to Chinatown is awesome, but I never know where to go besides Lao Sze Chuan and whatever bakery I end up wandering into. I’ve also seen a pizza tour that also speaks to me. I love Chinatowns everywhere. Such a great experience. Love the smells in the shops and good dim sum places. San Francisco’s Chinatown actually cause my daughter, then in sixth grade, to become a vegetarian, which she still is at 27! Too many hanging ducks I think… Love your blog! SF’s Chinatown is wonderful. And apparently, it’s also the largest Chinatown in the US.